Before I came to Naples I’d never even heard of chinotto. My first encounter was in a supermarket. I was looking at the different options in the soft drinks aisle and noticed the name chinotto appeared to be a major player. There were a few different brands to choose from. “Chinotto?” I asked my self. “What the F@#k is chinotto?” Of course, I had to find out and there was only one way to do that. I bought a bottle and took it home with me. Since that first encounter, I’ve tried a few different brands. I know what chinotto is now but I’m still not sure if I like it. So, what is Chinotto? It’s a carbonated soft drink that’s popular in Italy. I did some research and discovered the people in Malta are very fond of it too. Apparently, some brands are exported to other countries of the world as well, including Australia and the USA, but you’d probably have to go looking for a specialist supplier if you’re desperate to try it or renew an old acquaintance. The colour of the drink seems to vary. Depending on the brand, it generally looks similar to Coke or brown tea. I can’t say I noticed too much difference in the flavour from one brand to the next. Then again, I can say the same about cola. However, cola is easier to fall in love with. Chinotto is an acquired taste. The main ingredient in chinotto is a species of citrus fruit (Citrus myrtifolia) and it has a bitter taste. So has the drink, but the first time I drank it the bitterness did not hit me straight away. At first, all I tasted was an orange-like flavour and it was sort of sweet. Then after I’d swallowed it I was hit with a bitter aftertaste. It was very similar to the tangy taste you get if you chew on a piece of orange peel. The really interesting thing was the way the drink left an orangey aroma at the back of my nose. The ghost of orange that was haunting the cavity behind my nostrils was actually more orange-like than the taste of the drink and not at all unpleasant. 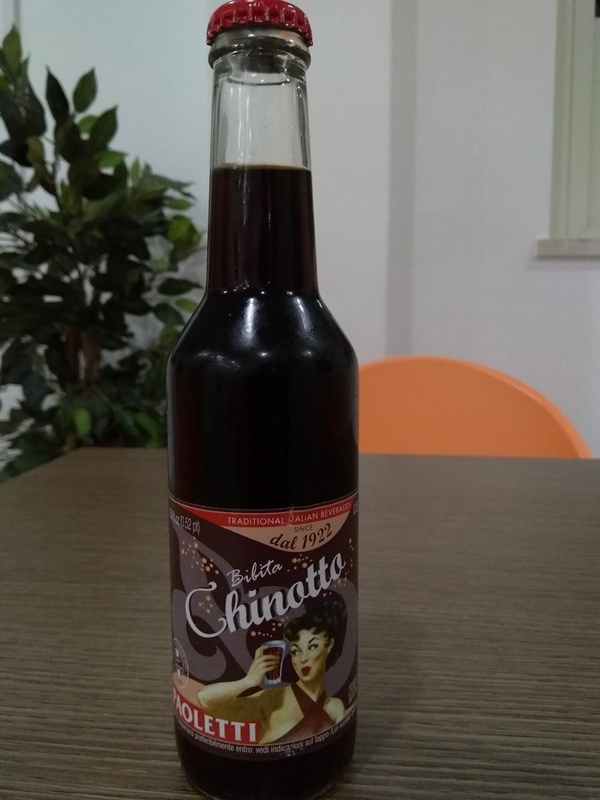 After I’d discovered what chinotto is, I became curious about its history. That’s actually not as clear-cut as I hoped. Some sources say it was created in 1932 by the Sanpellegrino soft drink company in Bergamo, Italy. Sanpellegrino is a popular brand to this day. Other people say it was created in 1949 when a businessman from Caparanica decided to create an Italian rival for Coke. His name was Pietro Neri and his company Chinotto Neri also continues to produce a popular brand of chinotto. The chances are the drink originates from one of these two sources, but there are also rumours it hails from Milan and a further story states it comes from a small Swiss town called Campasico. 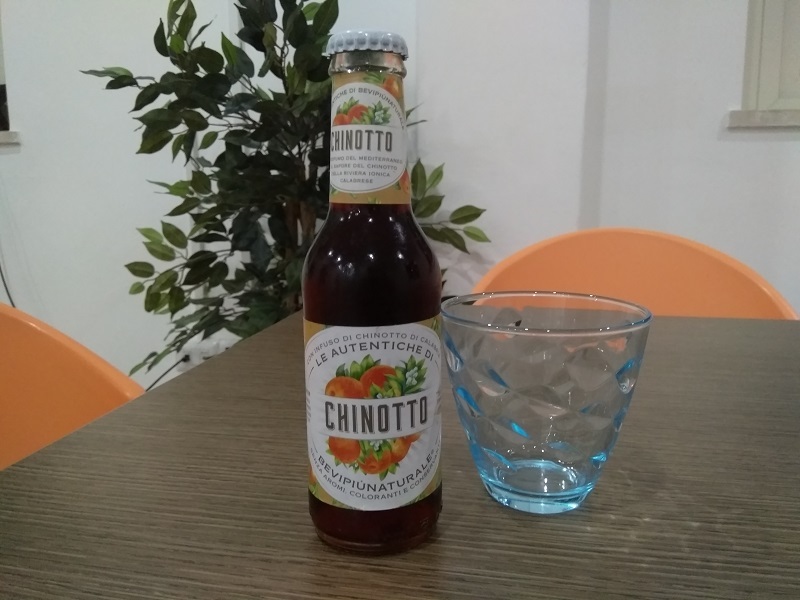 Regardless of its origin, chinotto is an interesting drink. I don’t think I would ever choose it over cola, but the taste is growing on me and I admit I may miss it when I am in countries where it’s not readily available. Next Article Next Article: The Boscaiola Pizza in Naples Is the Best!